We’ll do another parka comparison in this article, and this one is between Helly Hansen’s Dubliner and The North Face’s McMurdo parka. They are similarly priced, first and foremost, so their own specific features is what will make the difference. Helly Hansen is a Norwegian brand, which specializes not only in outdoor gear and clothing for sports, but also for those who work in the mountains and oceans. It was founded in 1877, so they have more than a century’s worth of experience. Just like The North Face, which is an American producer of outdoor clothing, Helly Hansen, too, has developed its very own fabrics and we will be looking at Helly Tech in a few minutes. The North Face makes its fourth appearance in our comparison reviews and unlike the previous ones, today it’s McMurdo‘s turn. As mentioned above, this American company designs quality outdoor products and it was founded in 1968, originally targeting backpackers, climbers and then later skiers and campers. 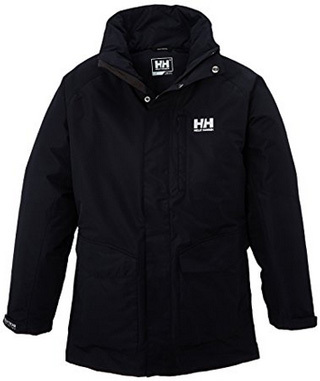 We are first starting with Dubliner by Helly Hansen, a men’s parka made of 100% Polyester. It comes with a hooded collar, which is adjustable and lined with faux fur trim around. The fur trim is removable, so you can choose whether to wear it or not. 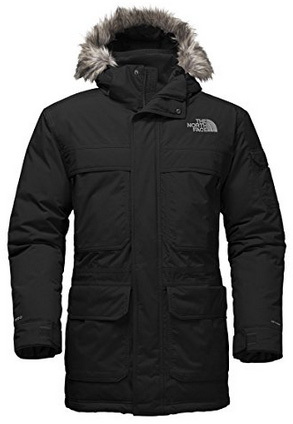 This is a practical parka as it comes with numerous pockets, three of which are on the outside. They are quite oversized, too, with plenty of space for your belongings. There are Velcro fasteners on the sleeve cuffs, which help to make them fit better while also further insulating the jacket. The shell is Helly Tech Protection fabric, which is highly water repellent due to the DWR treatment and the seams are sealed. This parka is insulated with Primaloft Black, a quality polyester insulation that closely resembles down. It is also quite resistant against wind and very breathable, too. These features make Dubliner a great multipurpose parka, not limited only to casual daily wear. McMurdo is also a great winter parka, which comes with 550 fill goose down and a shell made of DryVent fabric. 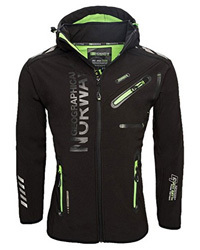 This is a highly breathable jacket, albeit being both water and windproof. The seams are sealed in order to ensure that no rain or snow get through. 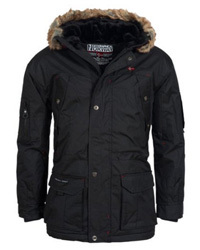 It is a medium-length parka with a hooded collar and faux fur trim. 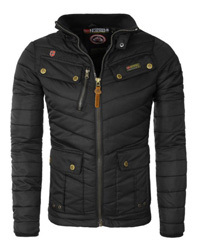 It adjusts at the waist, sleeves and hood, guaranteeing a proper fit every time. Not only are there numerous pockets both inside and out, but some are dual pockets, which provide plenty of space for your belongings. The two on the sides are also lined to quickly warm up the hands. 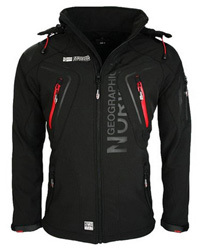 It has a plastic zipper that is protected by a storm placket and comes with emergency gaiter in the hood. The down insulation is RDS, which means that it is responsibly sourced, guaranteeing humane treatment of the birds, which in turn guarantees the quality of the down. Apart from the faux leather patches of McMurdo and its chest pockets, these jackets look quite similar. They are the same length and come with adjustable cuffs and fur trim on the hood. They wear similarly, too, McMurdo being slightly heavier. These are both comfortable parkas that don’t fit bulky, nor too big. There is enough space to layer underneath and the sleeves fit well on both, not hindering movement at all. Here we have two different types of insulation: Goose down and PrimaLoft synthetic insulation. As we have mentioned in previous articles, there are advantages and disadvantages to both of these types. On one hand goose down is a perfect insulator and it provides great warmth, while also being lightweight and having just the right loft and fluffiness. On the other hand, down is troublesome when wet, goose down especially. But this is not an issue in McMurdo’s case as the jacket is fully waterproof. PrimaLoft is a polyester insulation that is very light and maintains its fluffiness quite well. It also fares much better than down when wet, but it is not as warm, of course. So insulation differences aside, if you hate layering under a jacket and live in extreme conditions, McMurdo is the warmest out of the two. As we said above, McMurdo is a fully waterproof and windproof parka, so it can be worn in any weather and conditions, provided that the temperatures allow. Dubliner is water-resistant and has been DWR-treated, while also having sealed seams, which further protect the jacket against water and snow. If you live in extremely damp areas, where heavy snowing and raining are frequent, then opt for the waterproof option. And since we are talking about protection against the elements, the fur trim on both is high quality and not real, so there isn’t much difference between the two parkas when it comes to this. 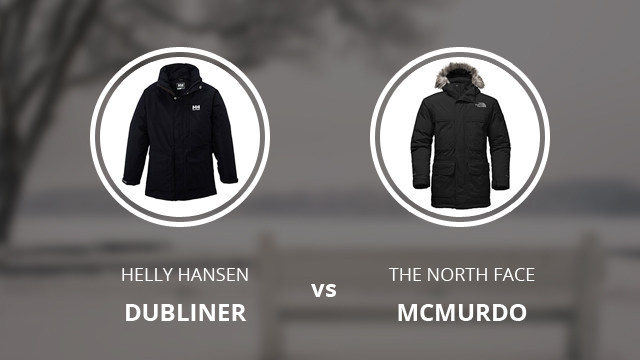 Dubliner and McMurdo are two parkas that serve two different purposes. Dubliner is lighter and suitable for more temperate cold weather, whereas McMurdo is a parka that withstands harsh conditions and unpredictable weather.